Many companies looking to expand, or streamline, their business will use investment banks for advice on potential targets and/or buyers. The Investment bank ‘s role in mergers and acquisitions falls into one of either two buckets: seller representation or buyer representation (also called target representation and acquirer representation). market maker: A person or company who undertakes to quote at all times both a buy and a sell price for a financial instrument. With increasing competitive pressures being placed on businesses and the trend towards globalization, companies are engaging more and more in M&A activity. Many companies looking to expand or streamline their business will use investment banks for advice on potential targets and/or buyers. This normally will include a full valuation and recommended tactics. The investment bank’s role in mergers and acquisitions falls into one of either two buckets: seller representation or buyer representation (also called “target representation” and “acquirer representation”). 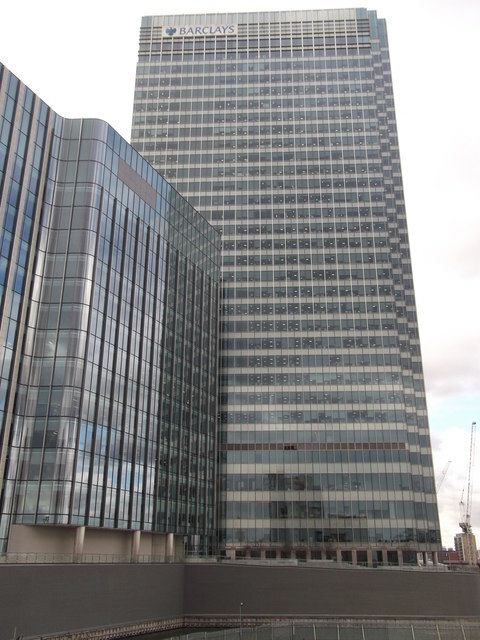 Investment Banking: Investment banks, such as Barclays (the headquarters for which is pictured here), play a vital role in the mergers and acquisitions process. One of the main roles of investment banking in mergers and acquisitions is to establish fair value for the companies involved in the transaction. Investment banks are experts at calculating what a business is worth. They are also able to predict how that worth could be altered (i.e., what happens to the value of a company in a number of different scenarios and what those potential futures would mean financially). Financial models are constructed by investment banks to capture the most important fixed and variable financial components that could influence the overall value of a company. These models, depending upon the proposed transaction, can be extremely complex with special variables being added for special areas (i.e., there are different financial factors to consider in different sectors, countries, and markets when predicting or measuring a company’s value). Because of their expertise in business valuation, investment banks can also provide the service of arbitrage opportunities for their clients. For instance, if a bank has performed valuation on a potential target company that suggests its market value (or the value of its shares in the marketplace) is less than what the business is actually worth, it may facilitate a merger or acquisition of this target company for its client that carries with it substantial profit opportunity. Investment banks do not just rely on buyers and sellers approaching them. They will also source deals by studying the market themselves and approaching companies with their own strategic ideas (i.e., they might suggest that two companies merge, or that one company acquires, or sells to, another). An investment bank that represents a potential seller has a much greater likelihood of completing a transaction (and therefore being paid) than an investment bank that represents a potential acquirer. This seller representation, also known as “sell-side work,” is the type of advisory assignment that is generated by a company when it approaches an investment bank and asks it to find a buyer of either the entire company or part of its assets. Generally speaking, the work involved in finding a buyer includes writing a “Selling Memorandum” (a detailed sales document) and then contacting potential strategic or financial buyers. In advising sellers, the investment bank’s work is complete once another party purchases the business up for sale (i.e., once another party buys the client’s company or assets). However, representing a buyer is not always as straight forward. The advisory work itself is simple enough: The investment bank contacts the firm their client wishes to purchase, attempts to structure an acceptable offer for all parties, and make the deal a reality. However, many of these proposals do not work out; few firms or owners are willing to readily sell their business. Because investment banks primarily collect fees based on completed transactions, they are often forced to defend their proposals. Of course, buying a company will require the funds to do so. Options available to a company wishing to raise funds include selling shares in itself or raising debt financing. Investment banks can, yet again, play a role in making this happen. In fact, one of the main roles investment banks play is to introduce new securities to market. Not only can an investment bank determine the best price for new issues–be they equity or debt–by valuing the company and examining the market, but they can also find buyers for those new issues. Therefore, they are referred to as market makers, since they perform the functions of both a buyer and seller.